As someone who has spent their life avoiding pre-packaged meals I have now found something that allows me to have night off from the kitchen. Thank you Charlie Bigham for creating this luscious lasagne that “gives us some time back”. We first had this as my brothers when we taste tested three lasagne’s; the other two were from Marks and Spencers and were okay but not a patch on Charlie Bighams. I first thought the secret ingredient was fennel (a herb I rely on to give my sauces a depth and warmth) but tonight when we tucked into this for our supper after a hard day of DIY (sanding and scraping off the layers of paint from the woodwork in our 1850s terrace) I realised I was wrong. The secret flavour was Star Anise and more importantly chicken livers. 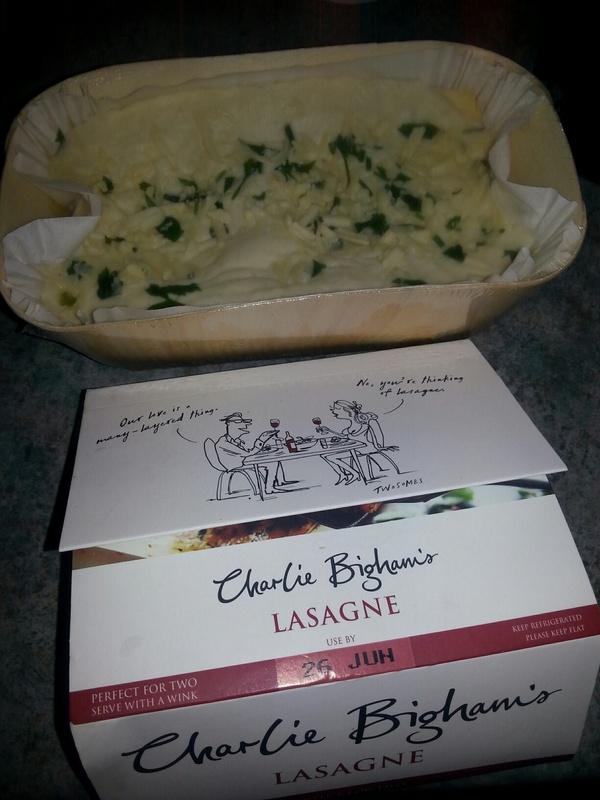 I now feel inspired to rework my lasagne – so thank you Charlie Bingham for feeding us, giving us some time back and motivating me to reinvent my lasagne.